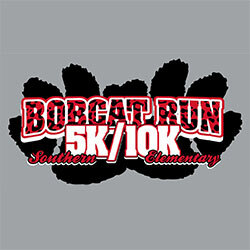 Don’t miss the Annual Bobcat Run 5K & 10K! Saturday, September 8th at scenic Ohio County Park in Hartford, KY. All proceeds to benefit Southern Elementary School. 5K/10K Run/Walk starts at 8am. Late registration and packet pickup starts at 7am. The 10K will be two laps of the 5K course. $20 for the 5K and $25 for the 10K if registered by August 24th. $25/$30 after that. All entries registered by August 24th are guaranteed a t-shirt on race day. Awards to Top Overall Male and Top Overall Female, plus the Top 3 in each age division (male & female). Walker-friendly race, everyone will receive times and results. Awards ceremony will take place at the registration pavilion at 9:15am. Cub Run (1/4 mile) for those 12 and under starts at 9am. Registration is $10. All Cub Run participants will receive a t-shirt and a participation prize.